Dr. 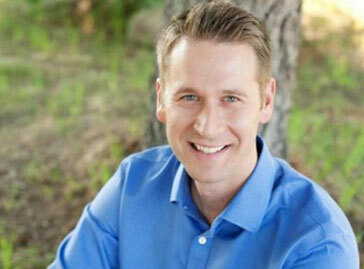 Rob Lewis graduated in 2004 with a Doctorate in Chiropractic Medicine from the Western States University. He is Board Certified with the National Board of Chiropractic Examiners, along with the State Board of Chiropractic Examiners. Dr. Rob has an extensive 9 years of experience maintaining a busy professional practice. He has earned a positive reputation in Fairbanks as being a distinguished health care professional and reputed Chiropractic Physician. Dr. Rob Lewis is committed to working with patients of all ages. He accurately diagnoses a variety of muscular conditions, skeletal issues and neurological problems. Dr. Lewis takes tremendous pride in helping residents enjoy the greatest degree of mobility possible while enabling his patients to feel their best. Dr. Rob Lewis brings a holistic and diversified approach to chiropractic care. He enjoys customizing his patients treatment plans in order to meet every patients particular needs. He works with spinal adjustments, injury and pain elimination techniques, disc decompression, extremity adjustments, spinal traction and numerous self-care exercises. He incorporates functional evaluation, neuromuscular rehabilitation and postural awareness into his care. Committed to helping people feel their very best, Dr. Rob Lewis provides exceptional care to his patients. He is dedicated to helping patients eliminate back pain, work-related injuries, chronic headaches, automobile incidents and debilitating neck pain. Dr. Rob Lewis is an avid believer that chiropractic care should ideally extend past the office. He takes time to listen to his patients in order to learn about their specific habits and lifestyles. Dr. Rob Lewis offers numerous creative strategies for clients to utilize at work and at home. Recommendations include: core strengthening exercises, relaxation techniques and certain stretches to help people achieve greater mobility and stay healthier. Those who maintain better physical and mental health are capable of healing potentially much faster than others. Dr. Lewis enjoys living an active lifestyle. He can often be found playing basketball, running or completing gym workouts.